When the U.S. House of Representatives passed S.517 today, voting to send the “Unlocking Consumer Choice and Wireless Competition Act” that the U.S. Senate passed unanimously last week, the legislative branch completed an unprecedented democratic process: a bill that had in its genesis in a White House e-petition signed by more than 100,000 consumers was sent back to the White House for the President’s signature. If signed into law, the bill would 1) make it legal for consumers to unlock their cellphones in January 2015, reversing a controversial decision made by the Librarian of Congress in 2013 by reinstating a 2010 rulemaking and 2) direct the Librarian to consider if other mobile devices, like tablets, should also be eligible to be unlocked. As Vermont Senator Patrick Leahy’s staff highlighted, the ranking members and chairmen of the House and Senate Judiciary Committees started cooperating on the issue in 2013 after the White House responded to the e-petition. In the annals of still-embryonic American experiments in digital democracy, I can find no ready equivalent or precedent for this positive outcome for the people petitioning their government. The closest may be when the White House responded to an e-petition on the Stop Online Piracy Act in 2012, taking a position on anti-piracy bills that posed a threat to online industry, security and innovation. Even then, it the voices of millions of people activated online to change Washington and the votes of members of Congress. It’s critical to note that there’s a much deeper backstory to why activism worked: the people behind the e-petition didn’t stop with an official response from the White House. After making a lot of noise online, activists engaged Congress over a year and a half, visiting Capitol Hill, sitting in on phone calls and hearings, and being involved in the democratic process that led to this positive change. Khanna, now a fellow at Yale Law School and columnist, was part of the coalition of activists advocating for this change in Congress. This is an important lesson in why “clicktivism” alone won’t be enough to make changes to laws or regulations emanating from Washington: people who want to shifts in policy or legislation have to learn how Congress works and act. That organization and DC ground game doesn’t mean that this e-petition didn’t matter: its success was a strong signal for policy makers that people cared about this issue. That’s also important: in the years since the launch of White House e-petitions in September 2011, the digital manifestation of the right of the people to “to petition the Government for a redress of grievances” guaranteed by the First Amendment of the Bill of Rights of the Constitution of the United States has come in for a lot of grief. While White House e-petitions do sometimes work, 10% of successful e-petitions remain unanswered months or even years after they passed the threshold for a response, with activity in 2014 leading some critics to call “We the People” a “virtual ghost town.” Many of these criticisms remain founded in fact: popular epetitions do remain open. The longer these e-petitions remain open, the higher the chance that the platform will drive public disillusionment in “We the People,” not confidence that public participation of the people matters. For instance, an e-petition on ECPA reform still sits unaddressed. For those unfamiliar with the acronym, it refers long-overdue legislative effort to make due process digital by updating the Electronic Communications Privacy Act to require law enforcement to get a warrant before accessing cloud-based email or data of American citizens online. 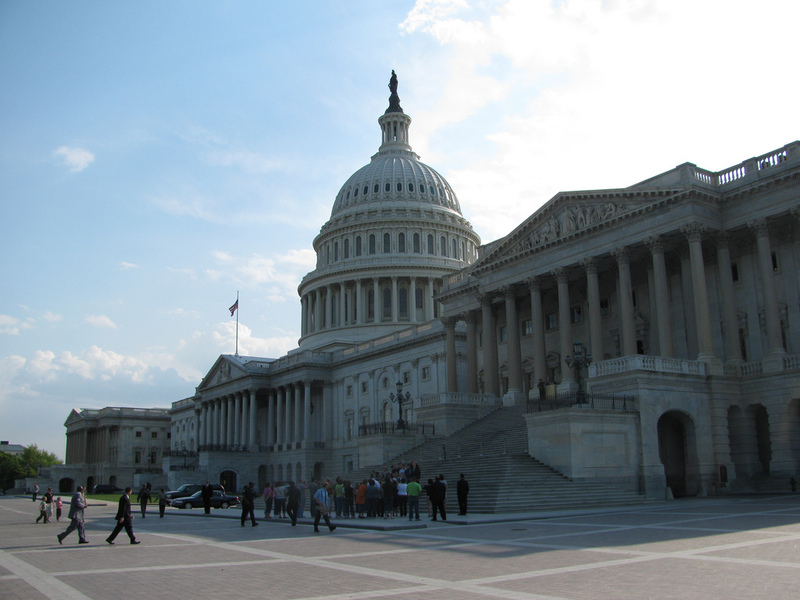 A majority of the U.S. House of Representatives supports ECPA reform. The White House has voiced support for “robust privacy and civil liberties protections.” The Supreme Court has made it clear that law enforcement needs a warrant to search the contents of cellphones. In a statement published by Politico, President Obama indicated that he would make unlocking cellphones legal: “The bill Congress passed today is another step toward giving ordinary Americans more flexibility and choice so that they can find a cellphone carrier that meets their needs and their budget,” he said. Perhaps it’s now, finally, time for the President of the United States to personally respond to a second e-petition, making it clear whether or not a constitutional law professor believes that the federal government should have to get a warrant before reading the email or personal papers of citizens stored online. UPDATE: On August 1st, President Obama signed the bill into law. This is an example of the federal government “answering the public’s call,” wrote Jeffrey Zients, Director of the National Economic Council and Assistant to the President for Economic Policy, Senator Patrick Leahy, Chairman, Senate Judiciary Committee. “Today, President Obama will sign into law the Unlocking Consumer Choice and Wireless Competition Act, and in doing so, will achieve a rare trifecta: a win for American consumers, a win for wireless competition, and an example of Democracy at its best — bipartisan Congressional action in direct response to a call to action from the American people. The original petition did a lot to kick off the process, but it took about a year and a half of negotiating with stakeholders, going back and forth with congressional staffers, and pushing back against corporate lobbies to get to an actual law. A big thanks to public advocacy groups like Public Knowledge, Consumers Union and the Electronic Frontier Foundation who helped guide that process. 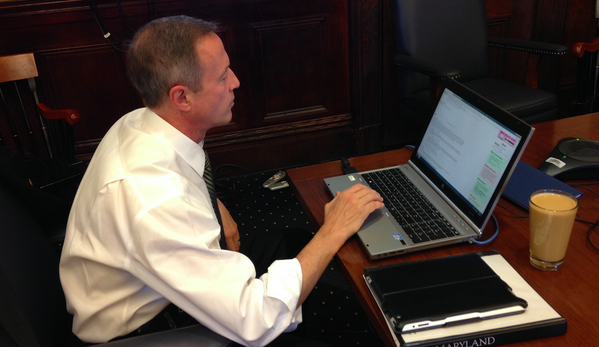 The bill’s a great step forwards, but we had to make a lot of compromises along the way. For one thing, it’s not a permanent fix. In 2015, the exemption expires and the Librarian of Congress will make another rulemaking and decide the fate of unlocking. I asked repeatedly for Congress to make the exemption permanent, and Rep. Zoe Lofgren even introduced the excellent “Unlocking Technology Act of 2013” that would have done just that. Unfortunately, Congress wasn’t ready to deal with the underlying copyright issue that makes it illegal to unlock your phone. Doing so would require amending the DMCA’s controversial anti-circumvention provisions, a step that’s desparately needed. It’s not too late for Congress to pass real reform along the lines of Zoe Lofgren’s bill. I’ll continue to push for that change as part of my campaign at FixtheDMCA.org. In the meanwhile, I’m going to be celebrating tonight. And consumers have another year and half to unlock their devices. Hopefully the Librarian of Congress will have better sense than to deny an unlocking exemption again – congress sent a very clear message that unlocking should be legal by overturning a DMCA rulemaking for the first time in the law’s history. The White House policy team convened more than a half-dozen agencies and offices’ senior officials to ask a simple question: How can we move this issue forward? After careful deliberation, it was clear to us: The Administration couldn’t agree more with petitioners, and we came out in strong support of again making it legal for consumers to unlock their devices. But we didn’t just agree; we offered a template for how to make it a reality. Our response laid out steps that the Federal Communications Commission (FCC), wireless carriers, and Congress could take to make sure copyright law didn’t stand in the way of consumer choice. And over the following weeks and months, we worked with the FCC and wireless carriers to reach voluntary agreements to provide consumers with additional flexibility. That captured national attention, including support from national editorial pages. All that helped motivate Congress to take action, and heed the call in a bipartisan way. This post has been updated with a statement from the White House, comments from Derek Khanna, Sina Khanifar, a post by Senator Leahy and Jeffrey Zients, director of the National Economic Council and Assistant to the President for Economic Policy, and a WhiteHouse.gov blog post.